Kip on expedition in Chile. Title: Associate Director of the Essig Museum of Entomology and Associate Professor in the Dept. of Environmental Science, Policy, and Management. Where do you work primarily? My research is on the systematics, taxonomy and evolution of a major, world-wide group of beetles (Carabidae). As a field biologist I travel to many parts of the world to sample them. Most of my time is split between the Southern Hemisphere (for example Australia or Chile) and the California region. What you do in your day job? When classes are in session I teach the wonderful students of UC, Berkeley about insects, evolution, ecology, and behavior. I advise undergraduate and graduate students on projects that range from DNA sequencing to biological-illustration to observations of beetle behavior. I also take time to study the morphology and genetics of beetles in the laboratory and in the museum collection. 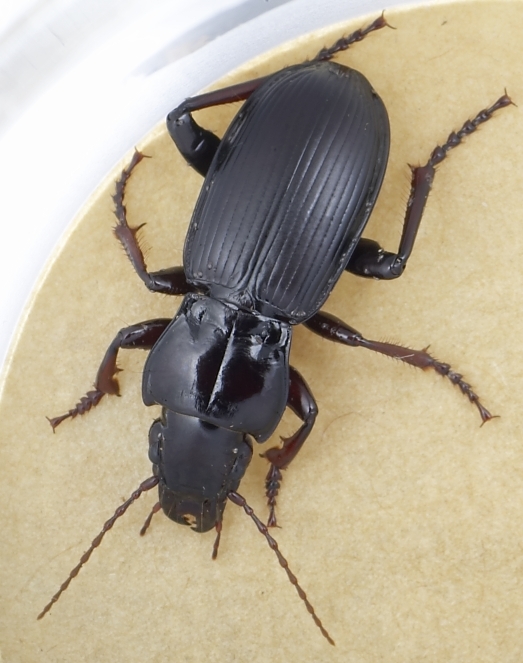 Photo of a Californian beetle, Pterostichus morionides. By Kip Will. What’s your role with NfN and what do you hope to gain from it? If relevant, how will your research benefit? 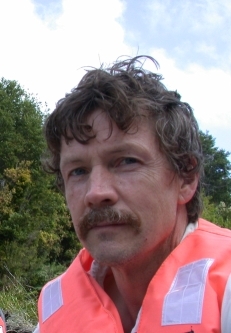 As one of the CalBug science team members, I will help to manage the specimen imaging and the flow of data back from the Citizen Science Volunteers. My research is entirely specimen-based and so having the valuable data from specimens in our collections digitally available for analysis will be a huge benefit to my research. One beetle group I am currently working on has about 125 species that are only found in western North America and most of these only in California. We have tens of thousands of specimens of these beetles to study. Once label data has been transcribed from these beetles I will be able to analyze the spatial relationships among these species at high resolution and look for trends in patterns over long (evolutionary) and short (ecological) timescales. What’s the most exciting aspect of citizen science work from your point-of-view? Being able to share the thrill of discovery and passion for science with such a broad audience is amazing for me. Also, with the help of volunteers, I now see a task I thought at best would take most of my lifetime could possibly be done in months. This is something of a dream come true.